This is probably going to be long, as usual, so grab a snack folks! I have been sooooo discouraged lately and really don't know how to dig myself out of this rut. I am just not feeling motivated or inspired at all. Have you ever wanted to do something so bad and wanted to get it right so bad, that you just talk yourself into thinking that you'll never do it the right way, so you just don't do it at all? That's kind of what has been happening to me lately. I feel so overwhelmed with so many things right now....but my "business" is something that I have definitely neglected because I just don't know how to do it and get it right. As I'm writing this, I know that it's Satan who is telling me I'll never be good enough and that I'll never succeed, but it still doesn't make me feel inspired....I need more time to devote to photography....I want to learn everything that I can.... I want more equipment.... It seems that my photographer friends are moving forward and I'm sinking in quick sand trying to catch up. Ugghhhh, so frustrating. Isaac has worked on my website some and we plan to devote some time to it this weekend. Once it's up, I will feel sooo much better.... hopefully. I really just need to get out there and shoot! Where do you find your inspiration? Leave a comment and let me know, maybe I can learn something! Ok, so that is my BIG FAT excuse for not being as dedicated to this blog as I should me. Sorry guys for being so lame.... I'm going to try really hard to do better! Ok, now for an update... Jonah is doing fabulous and is starting to try to talk so much more. His personality is so fun, and it's incredible to see him develop. He has quite the sense of humor! He is LOVING the pool and is pretty brave in the water. I definitely think we have a water baby on our hands. He is the light of my life and as usual, I am constantly reminded of the overflowing love and joy that fills my heart because of my sweet boy! Isaac and I joined Mecklenburg Community Church a while back and have had such an incredible journey there so far. We're getting more involved by volunteering and it feels so good to have a church family again. Isaac is still working 3rd shift which has been so challenging. He hasn't been on the same schedule as me since we were married 3.5 years ago! We've been praying sooo hard and he's been applying like crazy trying to get him on the same schedule as Jonah and I are. So, if you know anyone hiring for 1st shift, let a sista know! I accepted a new position at work, which I am super excited (and nervous) about! I start July 6th. I'm leaving a department that I am so attached to which makes me pretty darn sad. Luckily, I'll be sitting right next to my current department so I'll definitely see everyone around. New challenges are exciting! I think that's about it! For the most current personal photos, check out my facebook page! I'll leave you with the last photo of our precious Hannah Marie. This was taken during my last trip to TN. 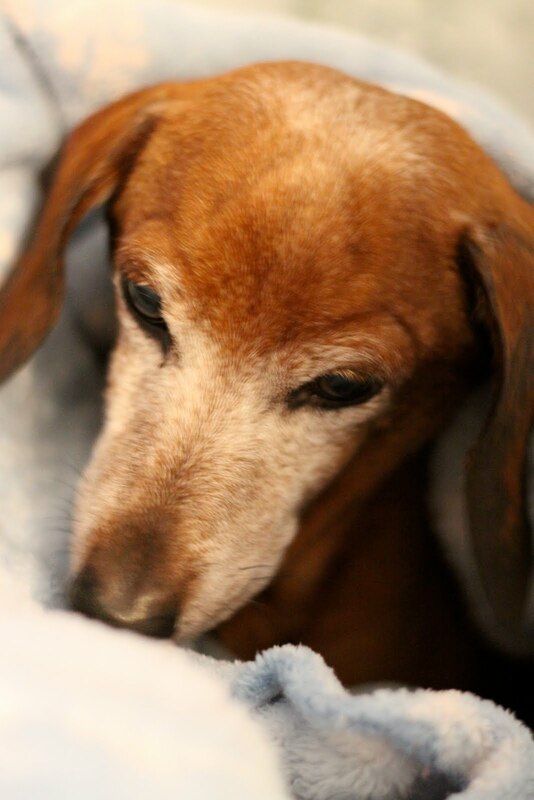 She was my friend, sister, and companion through soooo many hard "teenager" times. I'll never forget countless reassuring nudges and kisses from my sweet girl. I am so grateful to have known her, and so grateful that she's been my Mom's baby since I moved away. She will certainly be missed, but I am confident we will see her again someday. I love you and miss you so much Hannah! Ok, wow...just wanted to make sure that it worked before i started this again...I just wrote an extremely LONG comment and it didn't take...GEEZ LOUISE...I hope this comes out this same way the second time! Here it goes..
Cara, I am so sorry that you have been feeling this way. I wish you would have talked to me about it! You are a strong woman and I know you have it, but I think you have just had alot of other things going on and your mind has been busy. I am so glad that you have decided to put your logo on your blog, it looks fabulous, the whole new blog looks fablulous! You asked where others get there motivation and inspiration so I will put my two cents in..I know that I love photography, it is my passion so I just do it. I stay up late alot of nights, not that I recommend this but it's alot of times the only chance I get, and I do tons of research on terms and such, and I ask lots of questions. I don't worry what others will think about my questions, I just ask them because this is the only way I will learn and thus far I haven't had anyone made me feel dumb from asking a question. As you know, Jasmine Star's discussion board is a great place for questions if you ever have one and if you ever want to ask me if you think I will know I don't mind a bit. It would make me happy that you asked. And if I don't know then we can figure it out together and learn together! I will leave you with this...I know you can and want to do this, just tell yourself that you WILL make the time to devote to it, never hang your camera up because you know it is something that you love! Take pictures of anything..I took pictures of Ayden's bubbles a couple of weeks ago because it was sitting on the porch, in the sunlight and it looked pretty:) I have and always will believe in you! I love you Cara! You don't know me at all, but I felt the need to reach out to you. Before you choose to stop loving what you do and stop becoming who you were destined to be. I know where you come from. I've been there. In fact, I just got back from a photo shoot and did not fancy any of the images that I created. I have a website, a blogsite, multiple upcoming print galleries, publishing opportunities, classes to teach, and out of country trips all for this art of photography. And I can tell you that none of it makes me happy. I do not gain any joy from some HTML script that is coded to show my photographs or a regularly updated blog. The gear that I have in my bag doesn't bring a smile to my face. If you are waiting for the next lens or the next website to make you happy you will constantly be searching for joy and may never find it. God has a path for you to walk and it can be so easy to look and see where everyone else is going and feel discouraged. But your steps are guided and ordered. God knew you would be here and he hasn't left you. Don't rely on other people for inspiration. Your inspiration, while perhaps not all of it, should come from within. From the knowing that you have a point of view that no one else in the world has had or ever will have. You have a unique perspective and set of eyes. All you need to do is look up to the Creator who gave you them. And choose love. Choose to love what you do. Sometimes it is difficult, you know, on those days where you don't get the shot you anticipated...but every day is a learning experience. Learn to love your journey and not the idea in your head of your end result. Because God has a path for you and it may be far different than everyone else's. As a nature photographer I can tell you that the flowers that bloom the latest are the most beautiful. I actually thought about sending your blog link to Rebekah in hopes that she would have some words of advice for you...but here she is...She is an incredible person as I have told you on many occassions..Every word that she said is completely true and I agree look to our Creator when you are feeling like you have been, because there is only one YOU and that YOU is a very beautiful and unique YOU!